Norm travels to Savannah, Georgia, to meet Greg Guenther, a respected local craftsman known for his skills at making period furniture and for his restoration work of Historic Savannah mansions. In Guenther's private collection of period pieces, Norm spies a stunning nineteenth-century, black walnut, drop-leaf dining table with graceful turned legs. 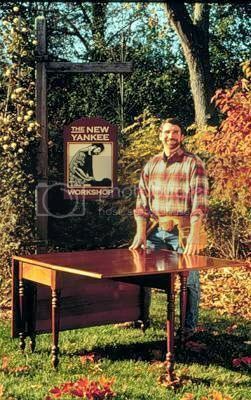 Before heading back to The New Yankee Workshop to recreate this heirloom piece, Norm joins Guenther in his workshop for a lesson on how to master a high-gloss finishing technique that enhances the natural beauty of wood.